Family and friends of Peter Appenzeller are raising money to pay for uninsured medical expenses associated with his heart transplant. Peter has been living with congestive heart failure for the past 12 years and it has come to a point where a heart transplant is necessary to save his life. Peter is one of the kindest and most loving people you would ever hope to meet and he needs our help. The cost of a heart transplant can be overwhelming! Peter is the proud father to his three adult children, Korrie, Danielle and Joshua. 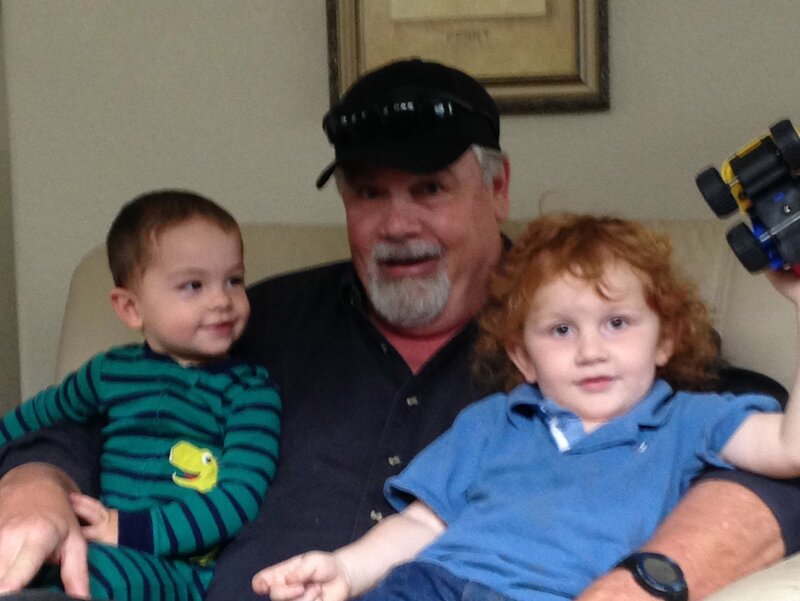 Peter is idolized by his two grandchildren, Kolecyn and Luka. Peter eagerly looks forward to watching them grow and spending as much time with his family as he can. Together Peter and his family are committed to seeing him through this transplant. Peter has many family and friends that love and adore him and we are very grateful for all the love, support, prayers, and financial contributions made to assist Peter in this very difficult and trying time. We hope you will be able to join us for future fundraising events. Peter has chosen to fundraise with HelpHOPELive in part because, HelpHOPELive, assures fiscal accountability of funds raised and tax deductibility for donors. Donors can be sure that funds donated will be used only to pay or reimburse medically-related expenses. To make a tax-deductible donation to Peter’s fundraising campaign, click on the Donate Now button. Over the last few months Peter’s heart has continued to decline in function. On Monday he was sent to University Hospital due to his heart going into Ventricular Tachycardia for 12 seconds. Once the doctors had a chance to run some tests and evaluate the situation the decision was made to install a L-Vad (Left Ventricular Assist Device). This device will allow his heart to rest as the pump does most of the work. There are risks involved but the benefits far out way them. The surgery will be scheduled for early next week. I will update this page as more information becomes available. Thank you all for your continued prayers!!!! I wanted to give everyone a quick update. I am happy to say, with all of your generous donations, we were able to raise enough money to reach our first goal of $3,000.00. This has allowed Peter to be officially placed on the transplant list!! We are all so grateful for each and every one of you!! We plan on doing fundraisers in the next few months and we hope you all can join us. Peter has been approved for a heart transplant, however, he needs to raise a minimum of $3,000.00 to cover initial costs prior to being officially added to the transplant list. Even with insurance, the cost of transplantation will be astronomical throughout his life. All money raised will be used to pay the continuing medical costs including medications, co-pays, deductibles, as well as continued doctor visits. Hey Big Guy, God is still busy writing your story. I'm anxious to see what exciting adventures the next chapter will bring for you. Know you are in my prayers ... Always!!! Dear Peter, We send our love and affection to you during this challenging yet hopeful time. We pray for the day when your health is restored, so you may fully enjoy your family and adorable Grandchildren. The entire Janson family want you to feel the power of God's grace and the comfort of friendship during the days ahead. We all remember your Fun-loving personality as we lived out many happy days on good old Dartmouth - very fond memories indeed. The Appenzellers and Jansons have enjoyed a five decade connection that is very cherished. Please give our love to your family and let them know they are all in our thoughts and prayers. A special hug to Mary who has been an Angel in our lives! With Love, JoAnn Janson, Carol and Stephen Kechulius, Jennifer, Brett, Chase and Lacey McIntyre. P.S. A gift from all of us is on it''s way. You ain't going nowhere soon, sir. We have to finish golf lessons #2-#496. Love ya Peter. The STewaRTs! Hey Peter, I am praying for you! You are in my prayers and thanks for being a great role model!